Is your child learning to recognize the letters of the alphabet? Matching uppercase and lowercase letters can be difficult for some children. You can help make it fun with an alphabet matching game. 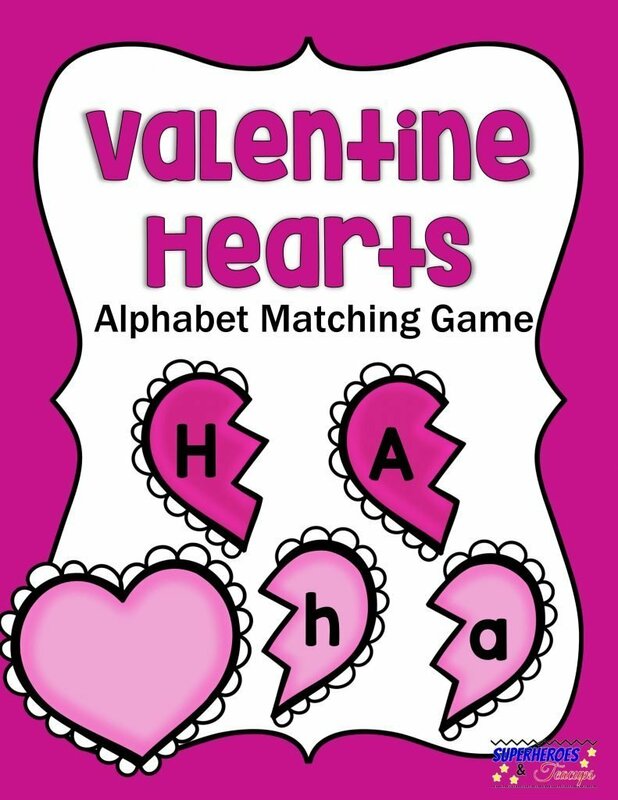 Valentine’s Day hearts are a fun resource for educational games for children. 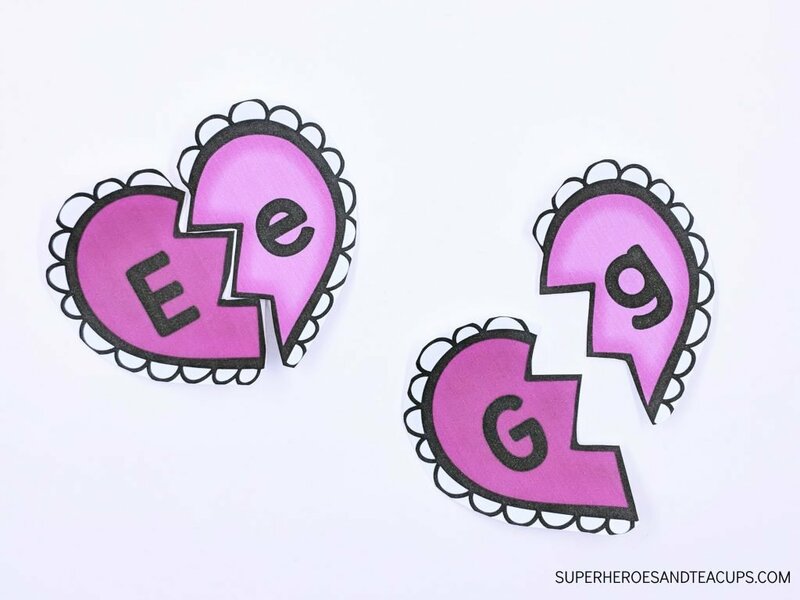 This alphabet matching game includes all 26 uppercase and lowercase letters on halves of broken hearts. Print out the pages and cut out the heart pieces. You don’t need to be super precise around the outside of the hearts. Just make sure the puzzle edges are reasonable smooth. Match the uppercase letter to its corresponding lowercase letter. Use only the letters you want your child to practice recognizing. That could be all of them or only a few.